Hindi film industry came together to celebrate the best of Bollywood in the year 2017 at 63 rd Jio Filmfare Awards 2018, held on January 20 at the NSCI Dome inWorli, Mumbai One of the most awaited and acclaimed award ceremonies of the country, Filmfare will complete its 63rd year. The annual gala which recognises the best talent in Indian cinema . The starry night was hosted by Bollywood’s Baadshah Shah Rukh Khan, and his good friend and filmmaker Karan Johar provided him some company on the stage. 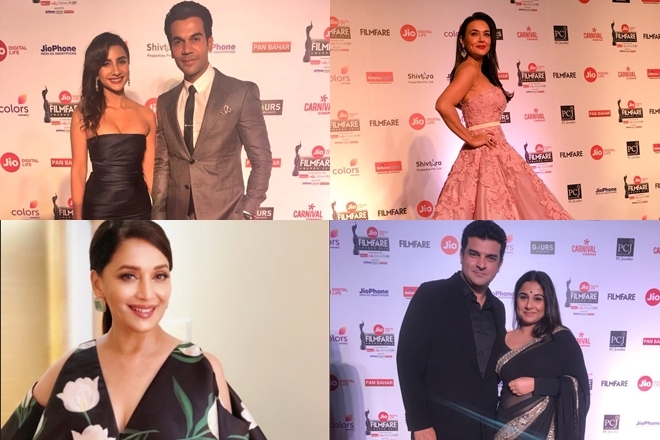 the complete list of those who won big at the 64rd Jio Filmfare Awards 2018.